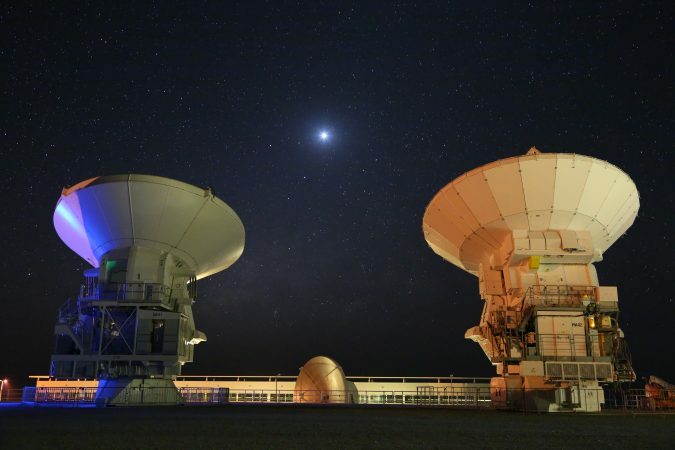 Using the Atacama Large Millimeter/submillimeter Array (ALMA) to observe an active galaxy with a strong ionized gas outflow from the galactic center, a team led by Dr. Yoshiki Toba of the Academia Sinica Institute of Astronomy and Astrophysics (ASIAA, Taiwan) has obtained a result making astronomers even more puzzled - the team clearly detected carbon monoxide (CO) gas that is associated with the galactic disk, yet they have also found that the CO gas which settles in the galaxy is not affected by the strong ionized gas outflow launched from the galactic center. According to a popular scenario explaining the formation and evolution of galaxies and supermassive black holes, radiation from galactic centers – where supermassive black holes locate – can significantly influence the molecular gas (such as CO) and the star formation activities of the galaxies. With an ALMA result showing that the ionized gas outflow driven by the supermassive black hole does not necessarily affect its host galaxy, “it has made the co-evolution of galaxies and supermassive black holes more puzzling,” Yoshiki explains, “the next step is looking into more data of this kind of galaxies. 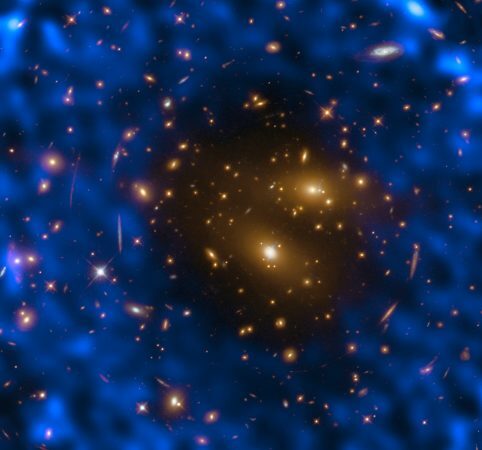 That is crucial for understanding the full picture of the formation and evolution of galaxies and supermassive black holes”. Answering the question “How did galaxies form and evolve during the 13.8-billion-year history of the universe?” has been one top issue in modern astronomy. Studies already revealed that almost all massive galaxies harbor a supermassive black hole at their centers. In recent findings, studies further revealed that the masses of black holes are tightly correlated with those of their host galaxies. This correlation suggests that supermassive black holes and their host galaxies have evolved together and closely interacted each other as they grow, also known as the co-evolution of galaxies and supermassive black holes. Figure 1: Image of a DOG, WISE1029. The left and right panels show optical image from the Sloan Digital Sky Survey (SDSS), and mid-infrared image from WISE, respectively. The image size is 30 square arcsecond (1 arcsecond is 1/3600 degree). It is clear that DOGs are faint in the optical, but are extremely bright in the infrared. The SDSS spectrum indicates that strong ionized gas is outflowing toward us from WISE1029. 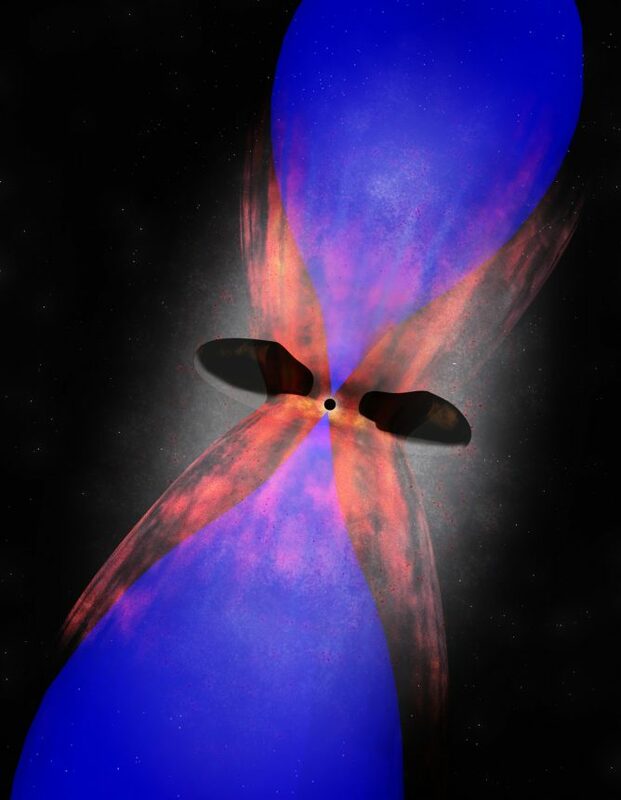 Astronomers are believing that DOGs harbor actively growing supermassive black holes in their nuclei (*4). In particular, one DOG (WISE1029+0501, hereafter WISE1029) is outflowing gas ionized by the strong radiation from its supermassive black hole. 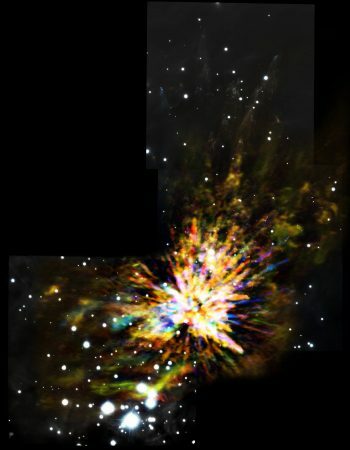 WISE1029 is known as an extreme case in terms of ionized gas outflow, and this particular factor has motivated the researchers to see what happens to its molecular gas. 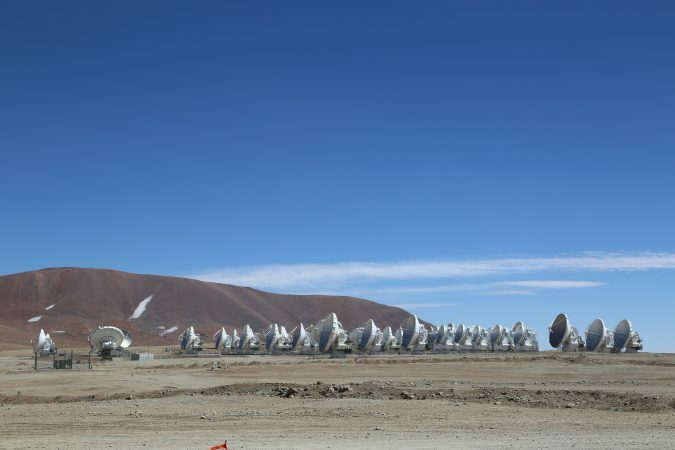 By making use of ALMA’s outstanding sensitivity which is excellent in investigating properties of molecular gas and star forming activities in galaxies, the team conducted their research by observing the CO and the cold dust of galaxy WISE1029 (Figure 2). After detailed analysis, surprisingly they found, there is no sign of significant molecular gas outflow. Furthermore, star forming activity is neither activated nor suppressed. This indicates that a strong ionized gas outflow launched from the supermassive black hole in WISE1029 neither significantly affect the surrounding molecular gas nor the star formation. 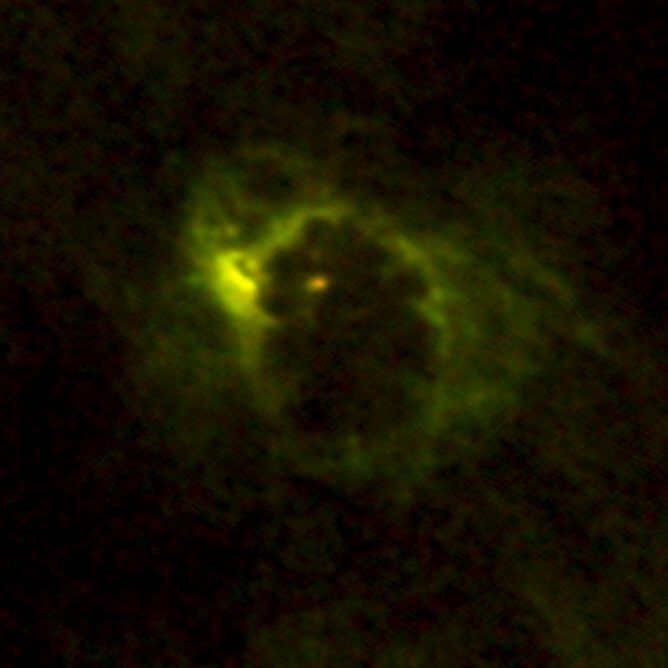 Figure 2: Emission from carbon monoxide (left) and cold dust (right) in WISE1029 observed by ALMA. The image size is 3 square arcsecond. 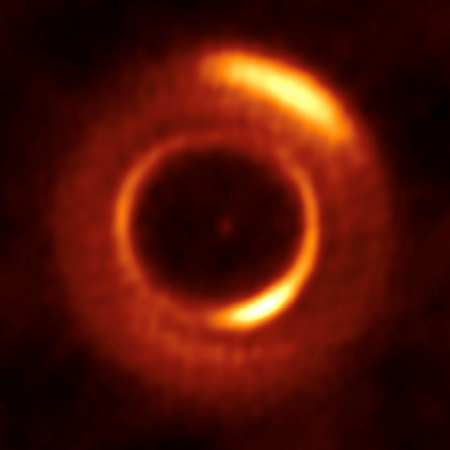 Credit: ALMA (ESO/NAOJ/NRAO), Toba et al. Figure 3: A schematic view of the fact that an ionized gas outflow (green) driven by the central supermassive black hole does not affect the star formation of its host galaxy. This situation may occur if the ionized gas is outflowing perpendicularly to the molecular gas. There have been many reports saying that the ionized gas outflow driven by the accretion power of a supermassive black hole has a great impact on surrounding molecular gas (e.g., *2,3). 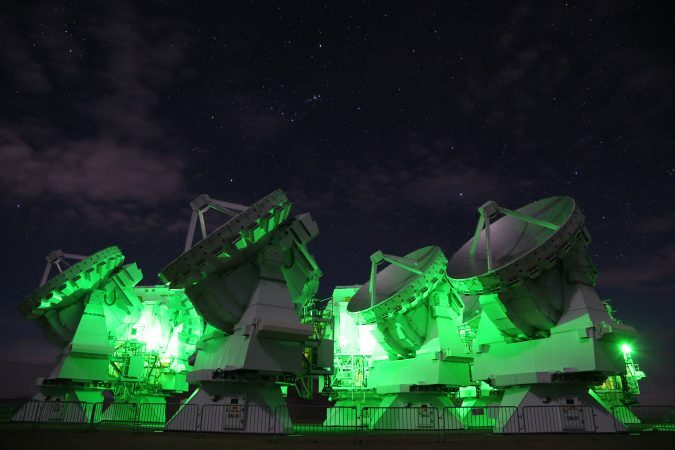 However, it is a very rare case that there is no tight interaction between ionized and molecular gas as the researchers are reporting this time. 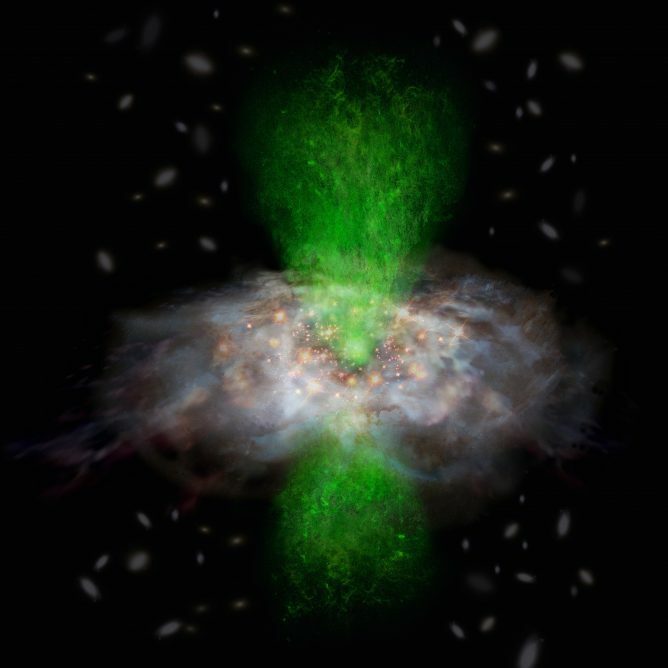 Yoshiki and the team’s result suggests that the radiation from a supermassive black hole does not always affect the molecular gas and star formation of its host galaxy. These observation results were published as Toba et al. “No sign of strong molecular gas outflow in an infrared-bright dust-obscured galaxy with strong ionized-gas outflow” in the Astrophysical Journal in December 2017. This research was supported by the Japan Society for the Promotion of Science through Grants-in-Aid for Scientific Research (No. 15H02074, 16H01101, 16H03958) and by the Ministry of Science and Technology, Taiwan (MOST 105-2112-M-001-029-MY3). ※1 It is a phenomenon where ultraviolet and X-ray radiation make a neutral gas plasma state. 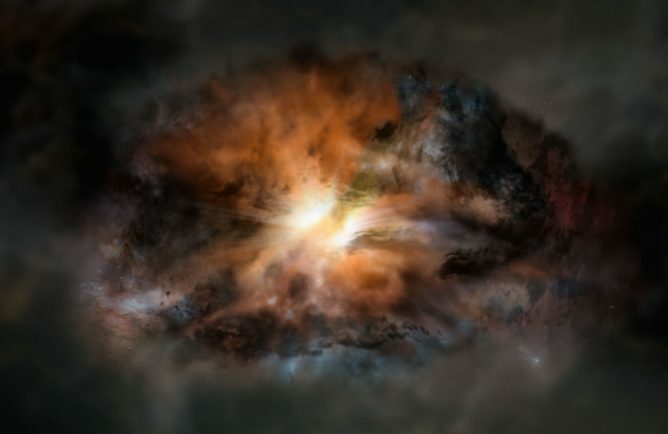 ※3 See the ALMA news “Chaotic Turbulence Roiling ‘Most Luminous Galaxy’ in the Universe” on February 18, 2016. 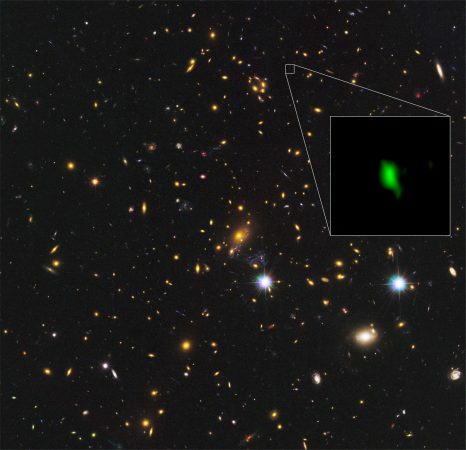 ※4 See the press release from Subaru Telescope “Discovering Dust-Obscured Active Galaxies as They Grow” on August 26, 2015.